Use this 1.25" diameter telescoping flagpole for feather, flutter, and square cut flags from AttentionFlag.com. 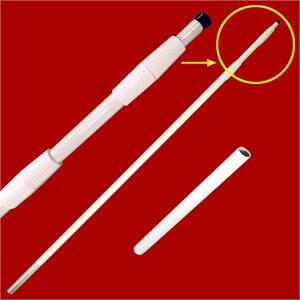 As your online source for custom flags and banners, we also make sure you have great flag poles for your needs. This option comes with 24" plastic ground sleeve for permanent installation using your concrete mix. Our 15' pole (telescopes from 6-15') fits 6' - 12' flags, while our 21' pole (telescopes from 7-21') fits 15' -18' flags. 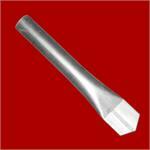 Also available is a temporary ground stake for areas where cementing in is not an option.